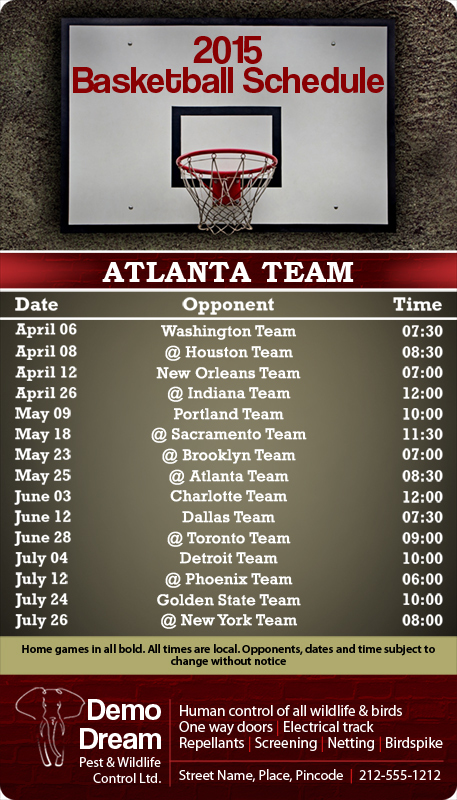 Personalized 4 x7 inch one team Atlanta Team basketball schedule pest control round corner magnets are largely sought by pest control services for marketing their business. Pest control services have to work doubly hard to win the trust of their customers because it is an issue dearer to any average American. 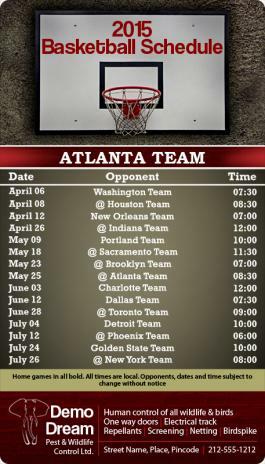 They can easily win their appreciation by handing out this magnet. It works in two ways – makes them dearer to the customer as an agent, who gave them vital sports information and importantly influences their consciousness in a positive way.